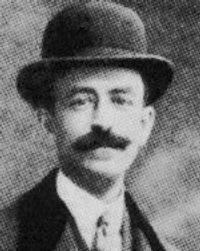 Siete Canciones Populares Espanolas "By Manuel de Falla (1876-1946). For medium voice and guitar. Editions Durand. 20th Century, Spanish and Argentina. Set of performance parts. Introductory text and performance notes. 36 pages. Editions Durand #ME0966700. Published by Editions Durand"
De Falla: 7 Canciones Populares Espanolas "(for Medium Voice and Piano). By Manuel de Falla (1876-1946). For Medium Voice and Piano (Medium Voice). Music Sales America. Classical, Spanish Folk. 32 pages. Music Sales #CH04050. Published by Music Sales"
De Falla: 7 Canciones Populares Espanolas "(for High Voice and Piano). By Manuel de Falla (1876-1946). For High Voice and Piano (High Voice). Music Sales America. 20th Century, Spanish Folk. 32 pages. Music Sales #CH56523. Published by Music Sales"
Homenaje Le Tombeau De Claude Debussy "(Guitar Solo). By Manuel de Falla (1876-1946). For Guitar. Music Sales America. 20th Century, Classical. 4 pages. Chester Music #CH55674. Published by Chester Music"
Dance of Terror and Ritual Fire Dance (El Amor Brujo) "(Cello & Piano). By Manuel de Falla (1876-1946). Arranged by Gregor Piatigorsky. For Cello, Piano Accompaniment. Music Sales America. 20th Century. 24 pages. Chester Music #CH00933. Published by Chester Music"
Siete Canciones Populares Espanolas (Seven Spanish Folksongs) By Manuel de Falla (1876-1946). For cello / piano. Score & part. Published by Masters Music Publications Inc.
Concerto for Harpsichord (or Piano) "(With flute, oboe, clarinet, violin and cello - score). By Manuel de Falla (1876-1946). Score. Editions Durand. 48 pages. Editions Durand #ME0178700. Published by Editions Durand"
Ritual Fire Dance from El Amor Brujo "(for 2 Pianos, 4 Hands). By Manuel de Falla (1876-1946). Edited by Mario Braggiotti. For Two Pianos. Music Sales America. Classical. 26 pages. Chester Music #CH02932. Published by Chester Music"
7 Canciones Populares Espanolas "(for Viola and Piano). By Manuel de Falla (1876-1946). For Viola, Piano Accompaniment (Score & Parts). Music Sales America. 20th Century. 64 pages. Union Musical Ediciones #UMF1003. Published by Union Musical Ediciones"
La Vida Breve Dos Danzas "(1 Piano, 4 Hands). By Manuel de Falla (1876-1946). Arranged by Gustave Samazeuilh. For Piano Duet. Music Sales America. Romantic. 24 pages. Union Musical Ediciones #UMF1021. Published by Union Musical Ediciones"
Noches en los Jardines de Espana (score) "By Manuel de Falla (1876-1946). For 2 Pianos (4-hands). Concerto/Instrumental Solo; Transcriptions; Original Works. Impressionist, 20th Century, Spanish. Score. Composed 1915. Published by Masters Music Publications Inc."